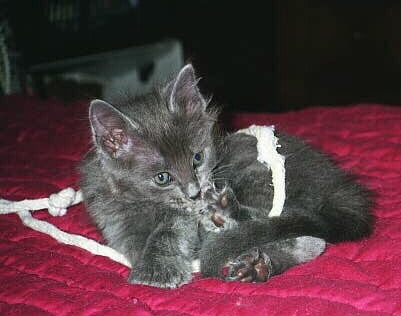 Q: What is a Nebelung? 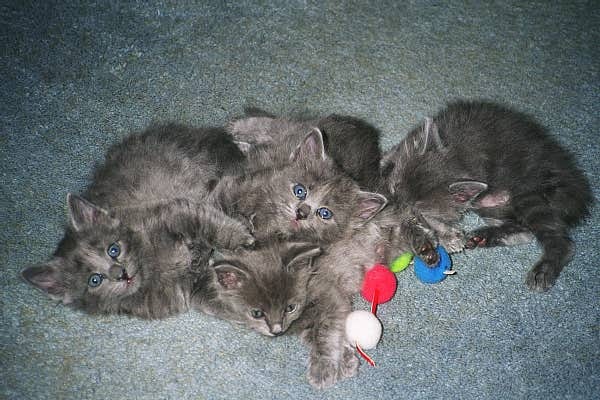 A: Essentially they look like a long haired Russian Blue. 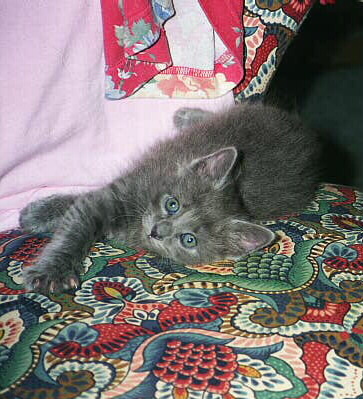 The name 'Nebelung" means "Creature of the Mist" in the German language. Q: How is their temperament? 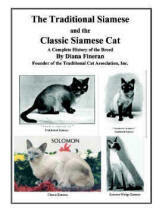 A: They are gentle and shy, but loving and attentive to their owners and family members. 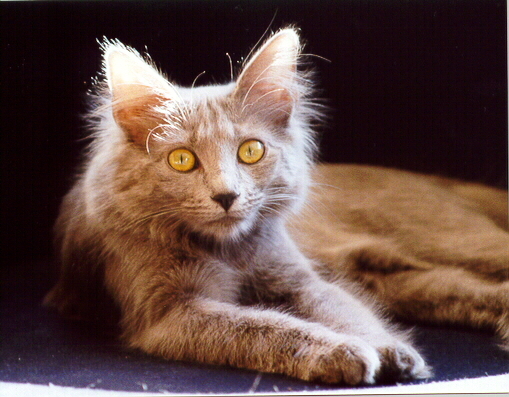 A: The Nebelung has a most interesting coat color. 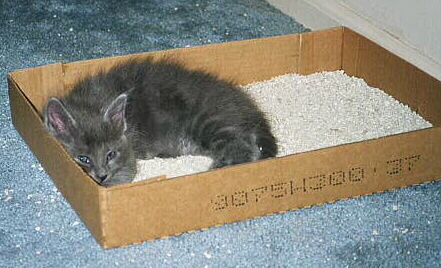 It has a solid blue, semi-long, soft coat with a shiny, luminous misty aura all around its body. Silver tipping on the guard hairs reflects light, giving a silvery sheen to the whole body. Their eyes are a vivid green. A big thanks goes out to Louise Safron of Kalamazoo, MI for sharing her beautiful pictures with all of us! 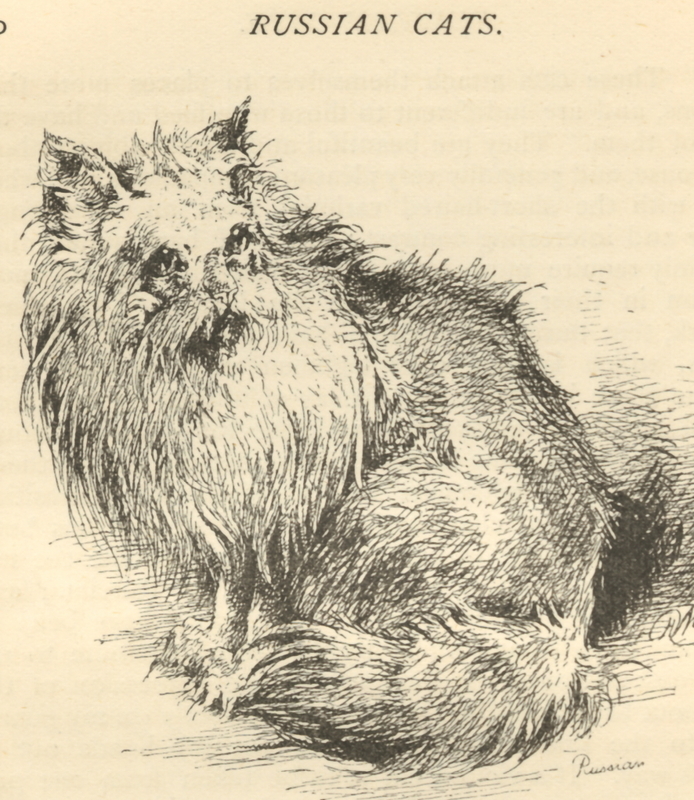 This drawing was done by Harrison Weir in 1889 and is of great historical importance because it is the first picture published of a Nebelung. 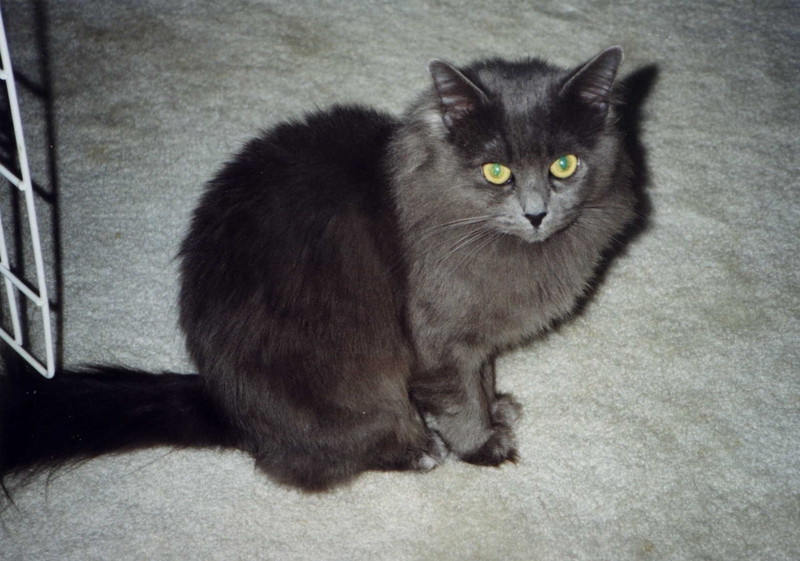 Harrison Weir, the father of cat shows, owned and bred this male Nebelung, who he said differed in coat and body type from the other long haired breeds of the time.